Fathers Day Dads protest the Cheshire home of Edward Timpson MP. We use direct action and protests to highlight the injustice parents and grandparents face in the present family court system. New Fathers 4 Justice is not affiliated with Fathers 4 Justice (F4J) UK or its founder Matt O’Connor. We were formed in 2008 and still use Superhero costumes in our direct action protests. New Fathers 4 Justice – What do we want? We want nothing less than a legal presumption of equal contact as a starting point for a child if their parents split up, and the abolition of the deeply controversial secret court system that still exists within the ‘family’ division despite many years of inequality and protest. Shared parenting will give both parents equal parity of rights to see the children. In short, we want dads to have an equal status….same as Mum!! We want an open transparent Family Court system to be brought into line with the crown and magistrates courts. This will prevent corruption, bias and implement a culture of accountability with the judiciary. In 2014 Sir James Munby, president of the Family Division of the High Court, said “the public had a right to know what is being done in their name and called for the courts to adapt to the internet era.Why are we still waiting for transparency in the family courts? “Parental alienation is responsible for around 80% of the most intransigent cases that come before the family courts” . The time is right and the time has come now for every dad to get motivated and protest against the injustices of the secret Family Courts and bias in the Family law system. We must all be prepared to commit to campaigning but for the benefit of all children, parents and grandparents. Don’t sit around and feel sorry for yourself.You don’t have to scale Buckingham Palace clad in lycra dressed as Batman, but it does mean that every supporter is expected to campaign. There are many ways in which you can do this. Please donate to New Fathers 4 Justice and help keep the direct action going. 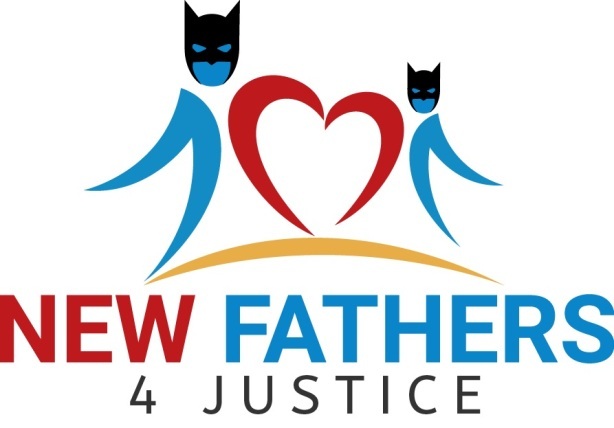 New Fathers 4 Justice is a wing of F4J USA but aimed at the UK. New Fathers 4 Justice is a direct action fathers rights group campaigning for the rights of fathers to see their children.